This winter mountaineering course is based in Scotland for people that want to learn the skills to enjoy grade I to III ground in winter. 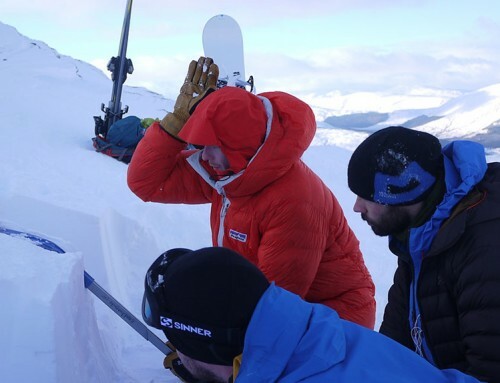 Who is the Scottish Winter Mountaineering Course suitable for? This course is for people who have some previous winter hill walking experience (see requirements below) and want to progress to climbing graded winter routes. Over the three days we will aim to progress you from being a winter walker to a winter mountaineer capable of climbing graded winter routes. You will climb routes from grade 1 to grade 3 over the three days. 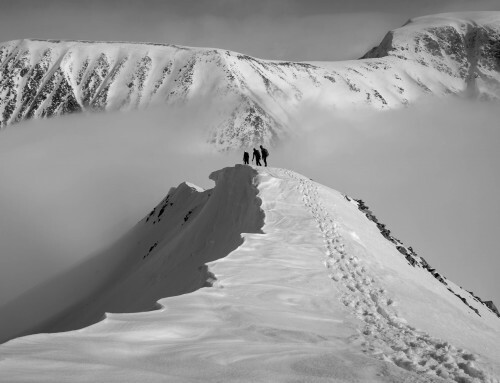 What does the Scottish Winter Mountaineering course cover? We will use weather and avalanche reports to understand the implications on route choice for the day. We will then head into the mountains to climb routes from grade 1 to III to suit the weather and the conditions. 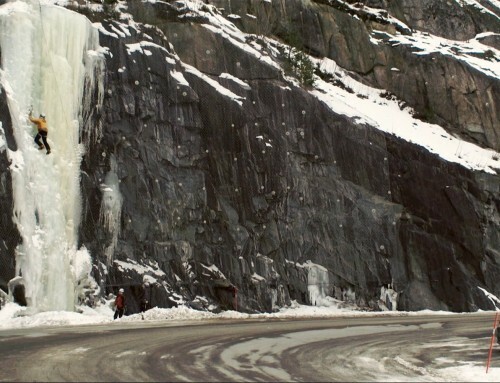 We will go and climb grade I to III winter routes. The weather will dictate route choice but we will try and cover both gullies and ridges over the 2 days. I hold the Mountaineering Instructor Certificate. I run all of the winter mountaineering and climbing courses myself together with fellow instructor Huw. Read More about us here. There is a mainline rail station at Fort William and it is within walking distance of where we meet each day. You can also fly to Glasgow and there is a link here for our travel options page which gives details of airports, coach and train companies and road links. 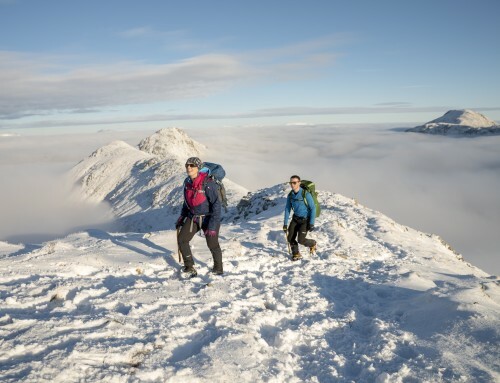 You need previous experience of hill walking in winter conditions. 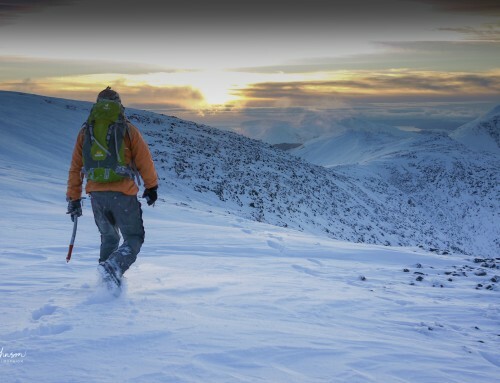 This can be in the form of a winter skills course (5 days – not necessarily with us) or more than 15 days of personal experience using ice axe and crampons. You also need experience of either some rock climbing (outdoors) or advanced scrambling. You should be happy tieing into a harness and happy with simple knots such as the clove hitch and italian hitch. Our summer advanced scrambling course is ideal preparation. These courses are strenuous and you need to be physically fit to get the most from them. A little bit of training in the form of cycling, running or swimming beforehand will pay dividends! Once you book we will send you a comprehensive set of course notes and a letter of confirmation, this will include a detailed kit list and details of where and when we meet. The first day normally starts at 8:30am in For William and finishes in the same place at about 5:00pm.